The U.S. P-8 Poseidon surveillance aircraft. The Kremlin does not think that the intercept of a U.S. P-8 Poseidon spy jet by a Russian Su-30 fighter plane over the Black Sea was an unjustified risk, Kremlin spokesman Dmitry Peskov said on May 12, TASS reports. "No, the Kremlin does not think so," the presidential spokesman said in reply to the relevant question. Russia’s Defense Ministry confirmed that a U.S. surveillance aircraft P-8A Poseidon was intercepted by a Russian Su-30 fighter jet over the Black Sea. At noon on May 9, Russia’s airspace control means detected an air target over the neutral waters of the Black Sea, which was approaching the state border of Russia. "The Su-30 fighter jet of the air defense forces on duty in the Southern Military District was scrambled to intercept the target," the ministry said. 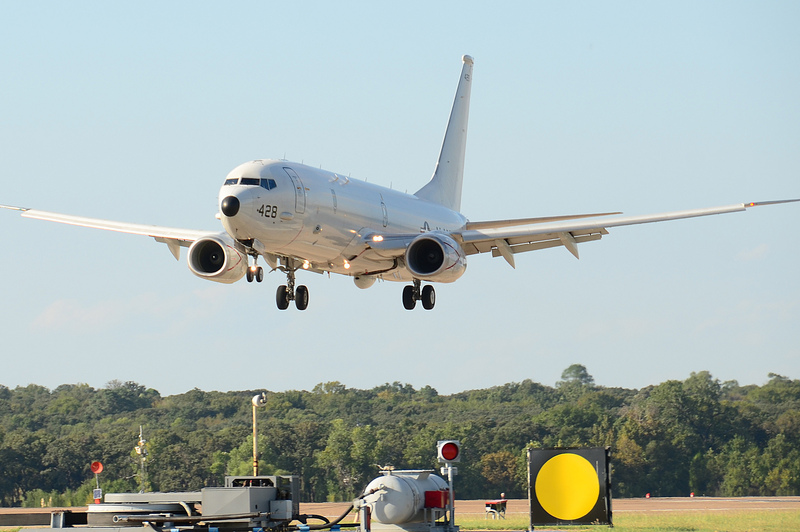 The Russian pilot identified the target as a U.S. surveillance aircraft P-8A Poseidon. "The Russian fighter jet performed a maneuver of ‘greeting’ for the U.S. pilots and after that the U.S. surveillance plane changed the flight route towards moving from the border with Russia. The Su-30 fighter jet safely returned to its base airfield," the ministry said. Earlier NBC reported citing the U.S. Navy that a Russian fighter jet flew within 20 feet of a U.S. Navy P-8A Poseidon over the Black Sea. The U.S. aircraft "was conducting routine operations in international airspace," according to Captain Pamela Kunze, a spokeswoman for U.S. Naval Forces Europe. The interaction was considered safe and professional by the U.S. aircraft’s commander, she said.